At this time of year the kitchen is in a constant state of production, with getting ready for the big day, all the events in the lead up and a bit of pre-planning for New Years celebrating. There’s a temptation for each creation to become more complex and impressive than the last. 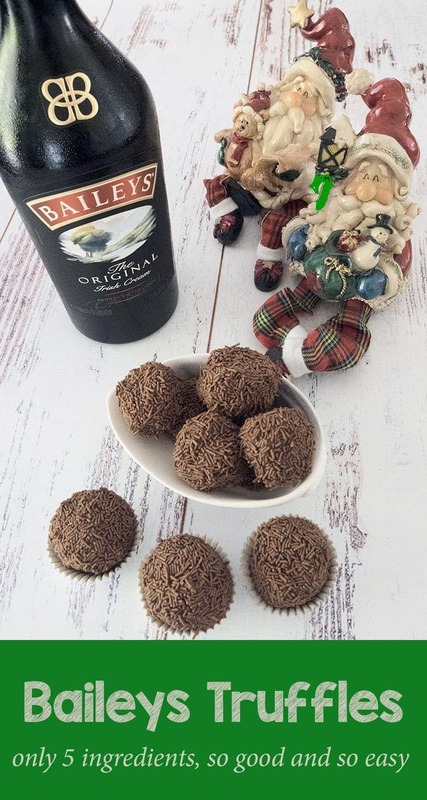 These Baileys chocolate truffles take a step back, on texture and flavour, and on the treat scale they’re right up there but they are very simple to make with only 5 ingredients needs. If you’re not familiar with Baileys it’s a liqueur made from Irish Whisky and cream. It’s soft and silky on the palette with a mild easy drinking flavour even for those off us that don’t drink whisky. It’s generally served in a small glass as a liqueur and in a warmer climate it’s good served over ice. It’s also a popular addition to creamy holiday and resort cocktails. 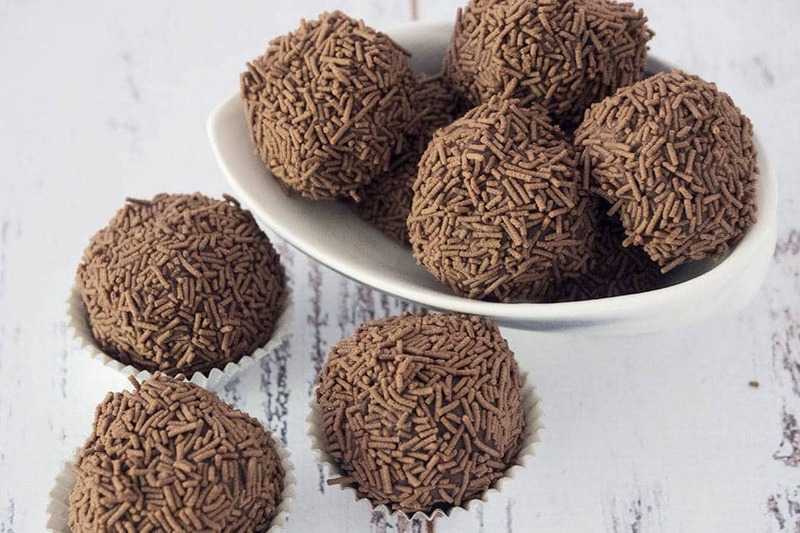 I’ve whipped these up Baileys chocolate truffles a couple of times in the last few weeks. They make a great addition to a sweet platter, a small hand made hostess gift and are very handy staples as they can be kept in the freezer and grabbed out as needed for unexpected guests. Break up the dark chocolate into small pieces and place in a bowl that will fit in the refrigerator. I prefer to use a block of chocolate rather than melts as I prefer the flavour but it’s a personal preference. If you like milk or white chocolate that would also work in the recipe. Place butter and cream in a small saucepan and place over a low to medium heat. Stir while the butter melts and continue heating until it reaches a gentle simmer. You want it hot but not boiling. Remove from heat and pour over the chocoate. Let it stand a minute or two to soften then whisk well until all the chocolate is melted and it’s a smooth glossy consistency. Add the Baileys Irish Cream and mix well again. Cover with plastic wrap and allow to cool then place in the refrigerator for 2-3 hours. It will be firm but not hard. Use a spoon or scoop and working quickly form it into balls and roll in your coating. If you are chocolate dipping rather than coating I cool them again before doing that closer to serving. 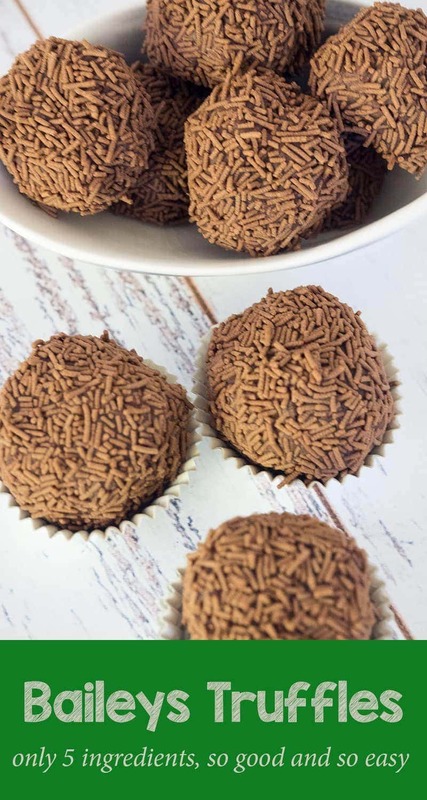 You can store the truffles in the freezer or refrigerator either uncoated or after rolling in sprinkles / coconut. Chocolate dipped truffles can be refrigerated if necessary but are best done on the day of serving. If you’re a fan of your chocolate treats laced with something a bit extra do check out my Baileys Fudge. I’m honestly not sure which is my favourite, the fudge or the truffle! If you’re as undecided as I am you can always make both, they disappear fast. It’s yummy…. 🙂 I really want to eat it. I will try it at home once.